The American West: a land of soaring spires, monumental mountains, colossal canyons, and so much more. These landscapes are the backyard of Lizard Head Cycling Guides. You can seek out the West’s off-the-beaten track locations and explore these iconic landscapes on the region’s quietest car-free roads. These quiet roads allow you to relax, converse and often cycle two abreast. There is no better way to explore the American West than from the saddle of your bike. If you are looking abroad for an memorable cycling vacation, look no further than the backyard of your own continental! Cycling is clearly the best way to experience all that the West has to offer. You get the experience of seeing these natural phenomena up close; literally feeling and tasting the landscape. Aren’t you ready for a new kind of vacation? Instead of driving between locations, touring museums and historical sites, why not hit the road on two wheels? One may not travel as far, but you’ll see more. 1. Gorgeous weather year round makes for amazing cycling. Weather can be unpredictable when cycling. Although you don’t want to necessarily be biking in torrential rain or in baking heat, weather cannot be controlled, it is part of the experience and “bad weather” often makes for the best stories. The wonderful thing about the West? The weather, in many places, is gorgeous throughout the year. On your bike tour you can expect to follow the region’s best weather, Lizard Head Cycling Guides are migratory cyclists! 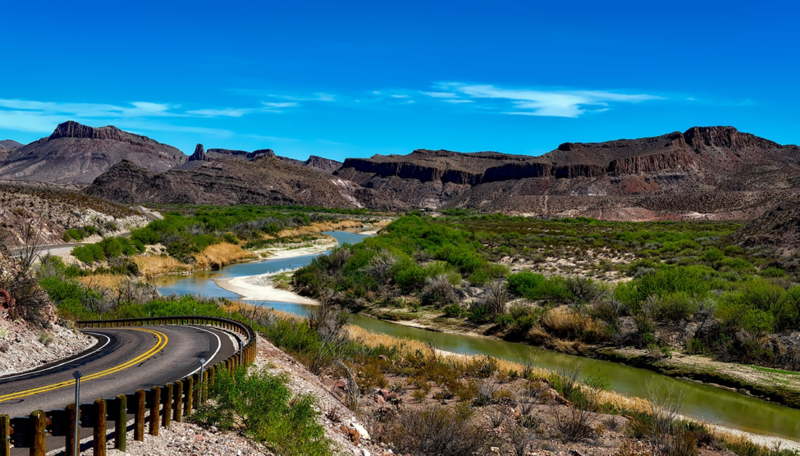 Take Texas—Big Bend National Park has beautiful biking weather in the the fall and spring. The middle of summer can be a tad hot, and the middle of winter a tad cold; otherwise, you’re looking at a fantastic, temperate climate. Plus, as you ride up the Texan Mountains, the temperature will drop a few degrees, cooling you off. Nothing beats the rush of wind you feel while gliding down the other side. You can’t beat the weather in Utah’s Boulder, Bryce Canyon, and Zion parks. Three out of the four seasons (spring, summer, fall) are perfect for biking. The higher elevations cool things down, 4 to 5 degrees Fahrenheit every 1,000-feet, and in the summer months, daily afternoon rainfall and cloud coverage does this as well. Ride through the alien-like hoodoos in Bryce Canyon for an “out of this world” experience. These columns with “hats” on top look like they could be on a distant planet rather than in the American West. Or if you’re looking for a challenging climb, head to Boulder Mountain for an awesome ascent of 9,300 feet. Zion National Park is perfect for those who love all kinds of adventure. Hop off your bike for an ambitious hike through Angel’s Landing or stay on to ride through the Zion Tunnel. Utah is a pedaling paradise. 2. There are so many spectacular sights—from the rolling hills to the flat deserts to the steep Rockies. No matter where you visit in the West, you’re sure to find incredible landscapes of all varieties. 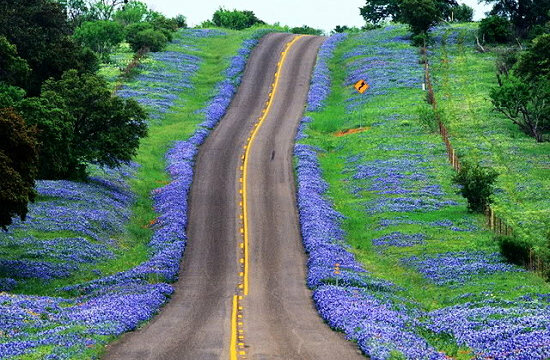 Texas Hill Country takes you through rolling hills, fields of vibrant bluebonnets, and forests full of cypress trees. If you’ve never been to Hill Country, you’ve never seen Texas quite like this before! Leave the greenery of the Texan hills for the sandy deserts of Utah and Colorado, which are just as awe-inspiring, but in a different way. Natural arches made of sandstone tower over the flat landscape, providing you with incredible views during your ride. Canyonlands, valleys, and rivers run through here as well. Don’t miss Dead Horse Point, with mesa edges so steep, cowboys could let their horses roam free atop the flat mountains. Looking for dramatic mountain peaks? The Colorado Rockies do not disappoint. Cross the Continental Divide four different times while cycling in these parts. Skyscraping mountain passes and low river valleys add great variety to your rides. After a long day’s work on your bike, rest in the relaxing waters of Colorado’s hot springs. And it’s not all about the land out here—take time to explore Aspen for a cool, mountain atmosphere with awesome shopping and dining. 3. The varied topography provides a great balance of hills to climb and plains to cruise. It’s no fun to ride the same type of terrain and topography all the time, which is part of the American West’s attraction for cyclists—no place is exactly the same! 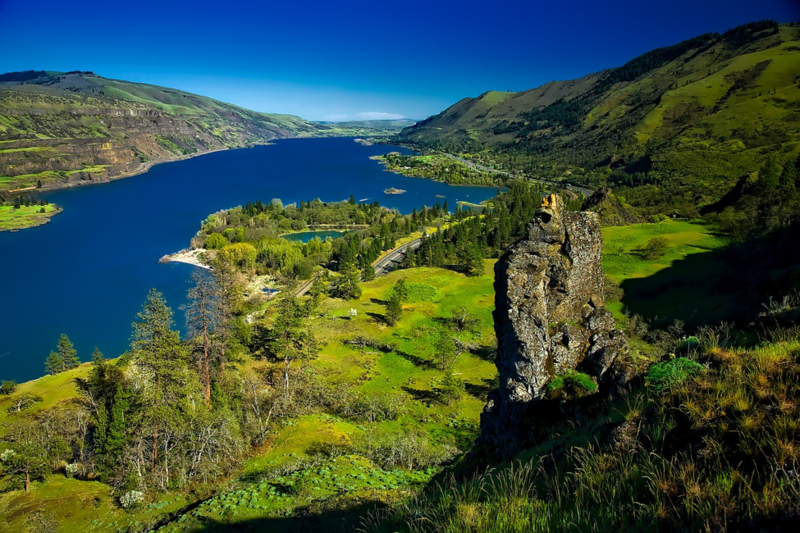 In the Northwest in September, Oregon’s Columbia River Gorge provides a mixture of flatlands and hills for those looking to change things up throughout their tour. And just like the rest of the American West, the views are no less inspiring. Wondrous wonderfalls, dense forests, and rich river valleys enhance your rides through the Pacific state. Further south, the Redrock Canyons of Utah and Colorado kick the hills up a notch. The dramatic canyons change the landscape dramatically, so that you are consistently climbing and rushing down the rocky red cliffsides. These challenging landscapes are not for the faint of heart, but the reward of incredible vistas seen from the top makes it all worth the work. Ride through remote areas of the Redrock Canyons, dipping into unexplored wilderness, swinging by incredible geological features and numerous prehistoric cultural sites. It’s an original route you won’t want to miss! 4. It’s not all about bikes—the West’s food is to die for! What’s a cycling vacation without fabulous food? In fact, when people ask why we ride our bikes, the answer is often so that we can eat everything we want! And when you’re cycling in the West, you’re in for a treat no matter where you go. 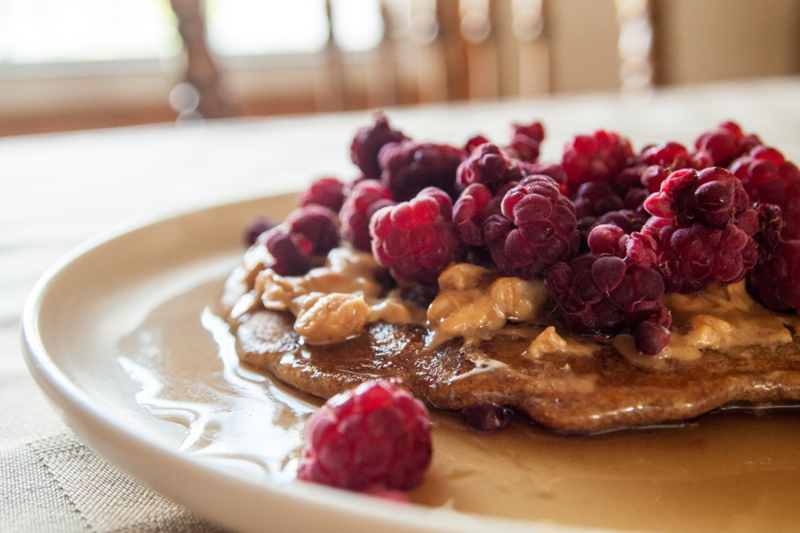 Colorado’s cuisine comes greatly from natural resources within the region. Think farm-to-table, but Rocky-Mountain-style. Local lamb is often served as a main course, or pork from nearby farms. Wild sweet anise is a fresh herb put in stews and soups as well as a seasoning on many courses. Vegetables from around the area show up in various side dishes. While cycling in, say, the Colorado Cols, you’ll be able to feast on these delicious dishes during your tour. In the Southwest, you’re looking at a completely different kind of cuisine, but one that is a favorite worldwide. New Mexico’s culinary style heavily derives from two cultures—Mexican and Native American. The marriage of spicy peppers and chiles from the south with the grains and beans from the north creates excellent eats in the Southwestern state. While riding through New Mexico, be sure to try blue corn pancakes for breakfast and a green chile cheeseburger for dinner. Utah’s Canyonlands offer sustainable eats with fine dining flavors. Check out Hell’s Backbone Grill, a favorite restaurant amongst the guides. Hell’s Backbone gets much of what it serves from its very own organic farm. Good food and a good mission? That’s something to celebrate! 5. And don’t forget cycling through Wine Country! 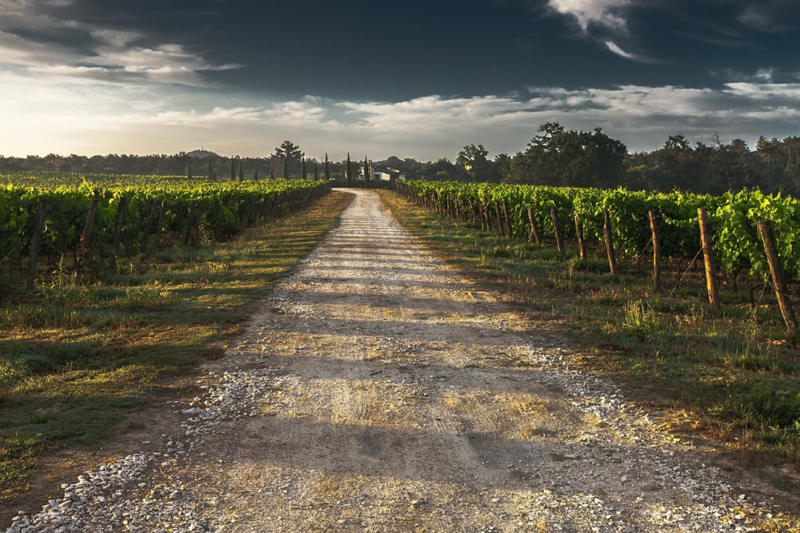 Wine-lovers rejoice—there are cycling tours through spectacular wine regions in the West. You’ll love biking through Oregon’s vineyards (and tasting the wines too!). Willamette Valley in Oregon takes you through a wine region comparable to California, but with far less traffic. The valley alone has two-thirds of Oregon’s vineyards, with over 500 wineries in all. That’s a lot of wine just waiting to be sipped! 6. Nothing compares to riding through our National Parks. The pride of the American West may very well be the amazing National Parks. They ensure that the magnificent landscapes across the country are both protected and respected. Montana’s Glacier National Park embodies the phrase “larger than life.” Massive mountains with gigantic glaciers surround you throughout the park. Hundreds of lakes (762 to be exact) fill much of the park’s 1,583 square miles, with the remaining miles just waiting to be explored by you and your bike. Pedal past unique flora and fauna—you may just see elk grazing, a grizzly bear run across the road, vibrant fields of wildflowers, or a lynx climbing the trunk of a cedar-hemlock tree. The adventurous will love Yellowstone, America’s first National Park. Geysers, wildlife, and monstrous climbs await in Wyoming’s wilderness. Must-sees include Old Faithful, Mammoth Hot Springs, and Yellowstone Lake, although anything within the park is worth a look. And biking isn’t the only activity to do here. Hiking is highly recommended, as is stopping by the Grand Prismatic Spring, a vibrantly colorful hot spring and the largest in the United States. Save some energy, though, for Beartooth Pass for a considerable ascent of 11,000 feet. Crater Lake National Park in the Pacific Northwest abounds with stunning scenery. This park should be on everyone’s bucket list. Cycle over the Cascades of Oregon on some of the most remote, car-free terrain out there. Travel between three national forest, stopping by Crater Lake along the way. The splendor of this part of the country is unparalleled. 7. History abounds in the American West. Europe isn’t the only place with a dramatic history. The American West cowboy heroes and outlaw anti-heroes are the stuff of legends. 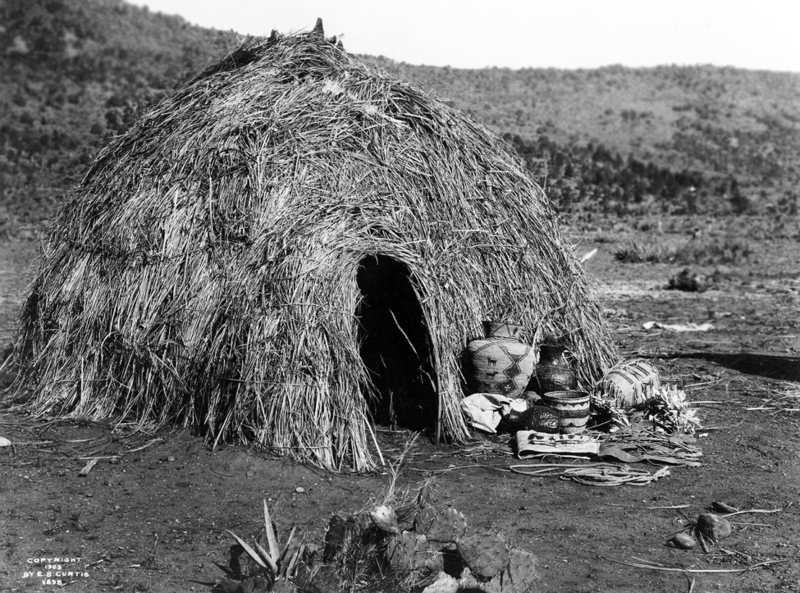 But before Billy the Kid and his gang were roaming “these here parts,” Native Americans, trappers, and settlers were already using landmarks, like the Spanish Peaks, as guides while exploring the West. Arizona’s Trail of the Apaches takes you across the same paths the great tribe once used to travel across the mountainous desert. “Move like the wind” as you cycle through broad valleys flanked by towering mountain ranges, which dominate your surroundings. The rocky, forested peaks loom like giant monuments above the desert floors. The Trail of the Apaches route is a historical trail through an exceptionally remote and wild landscape, taking you far from modern, hectic civilization. Ready to answer the call of the wild? Get in touch to book your American West cycling tour today. Or if you’re not quite ready to commit, but would like some more information, sign up for our free email course. This entry was posted on Tuesday, December 5th, 2017 at 10:19 am and is filed under Blog, Featured Posts. PREVIOUS: Colorado by Two Wheels: Which Bike Tour Should I Choose?